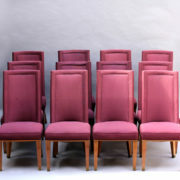 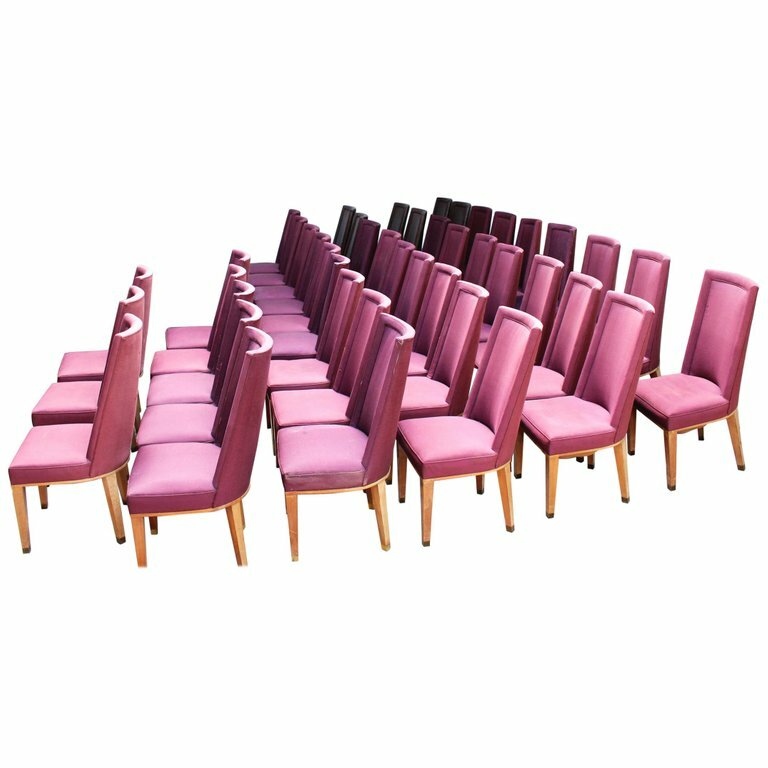 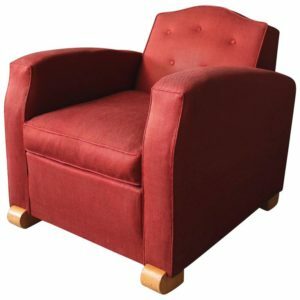 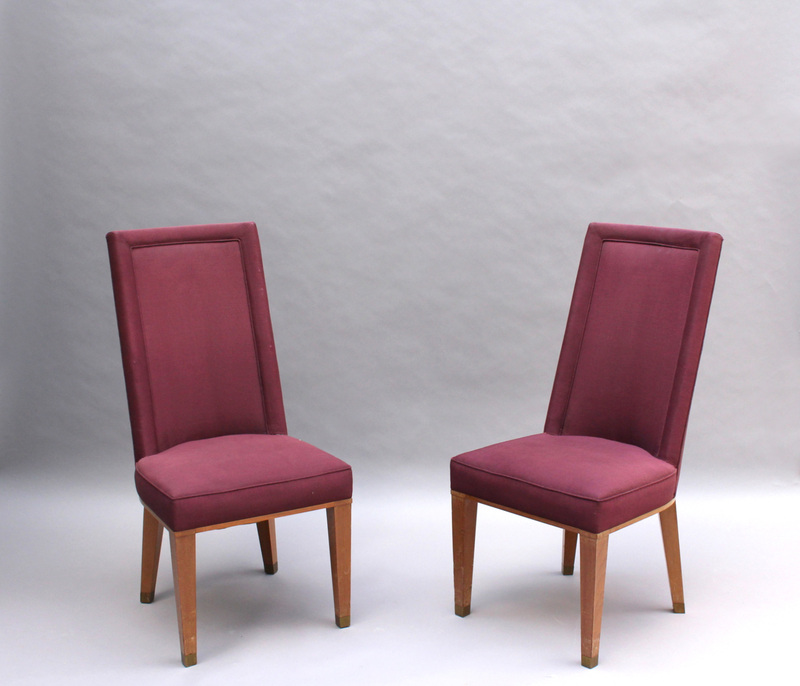 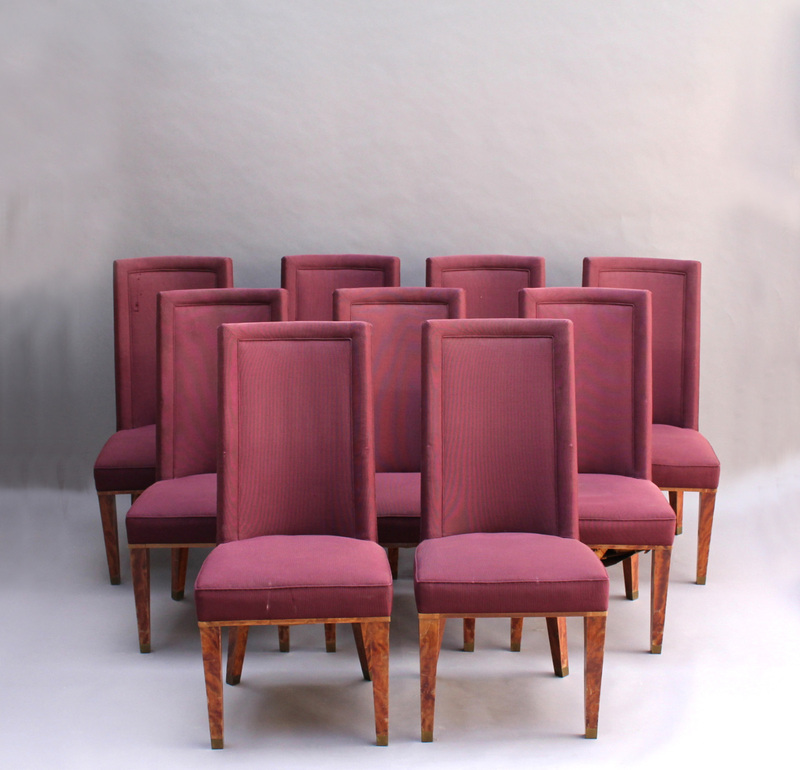 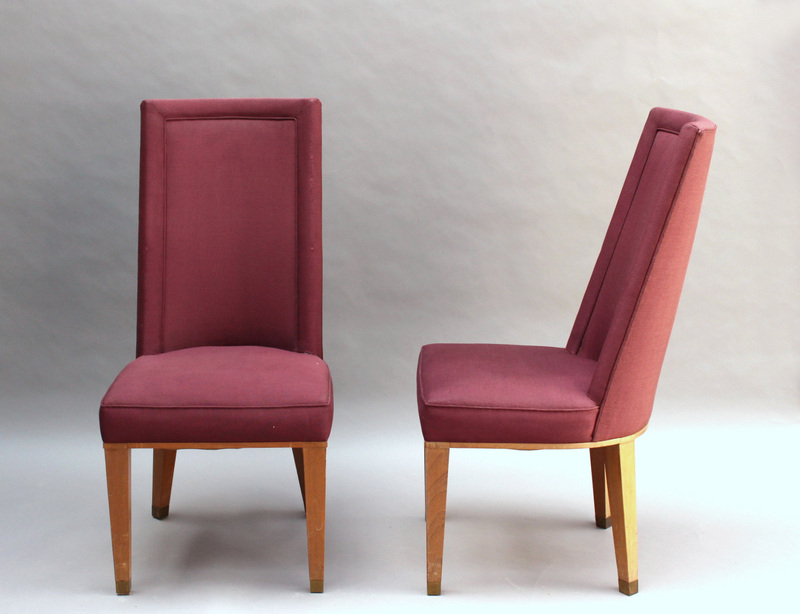 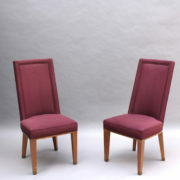 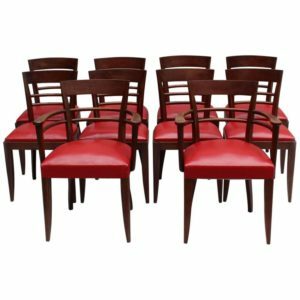 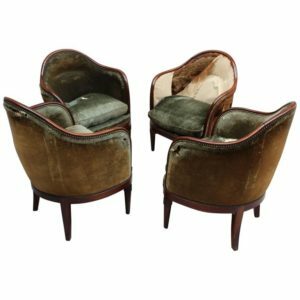 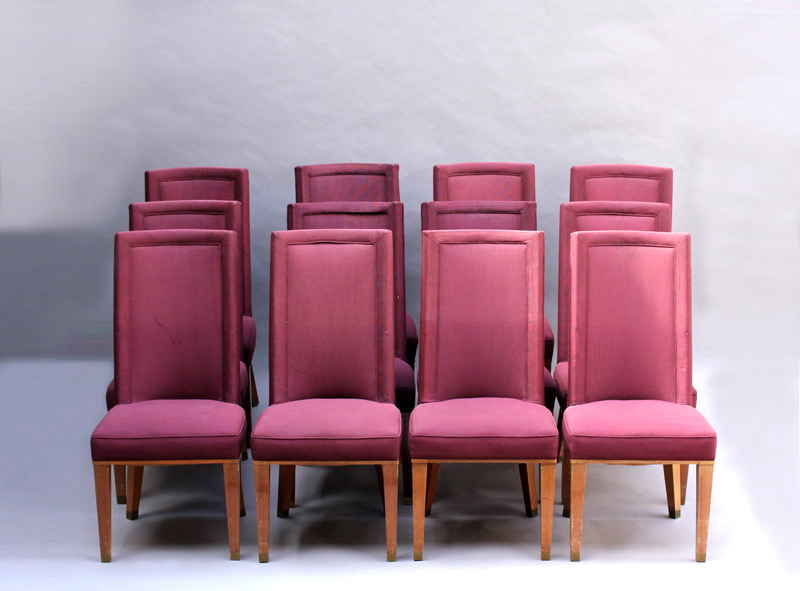 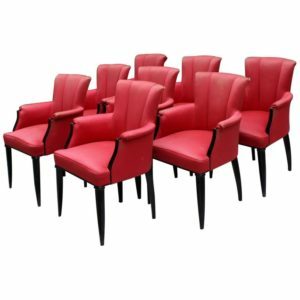 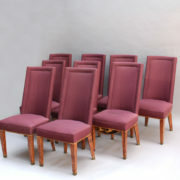 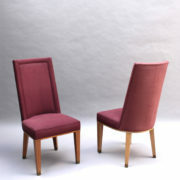 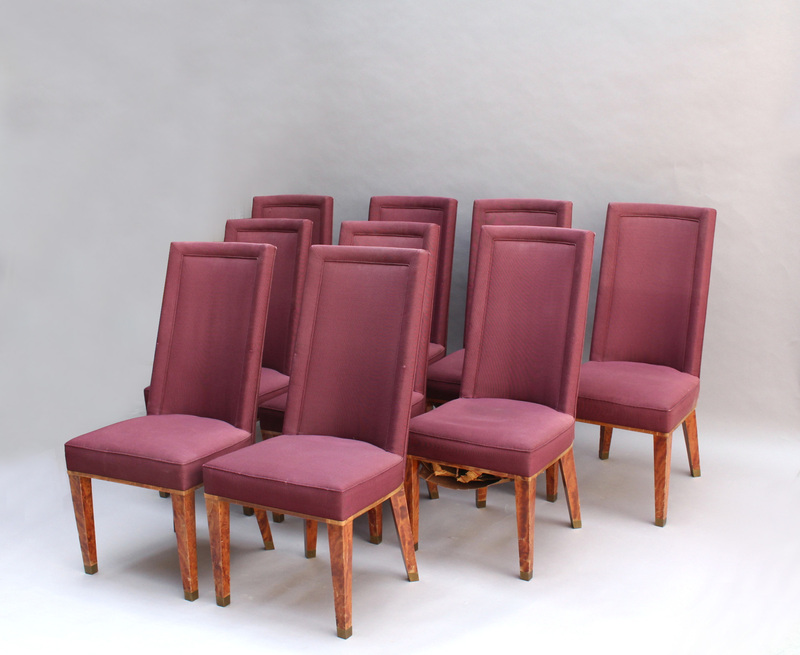 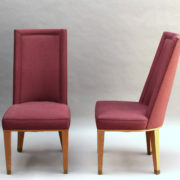 Forty-four fine French midcentury comfortable mahogany chairs by Jacques Adnet. 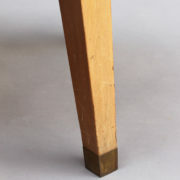 Provenance: Palais des Consuls of Rouen. 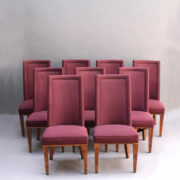 35 of them are classic Mahogany. 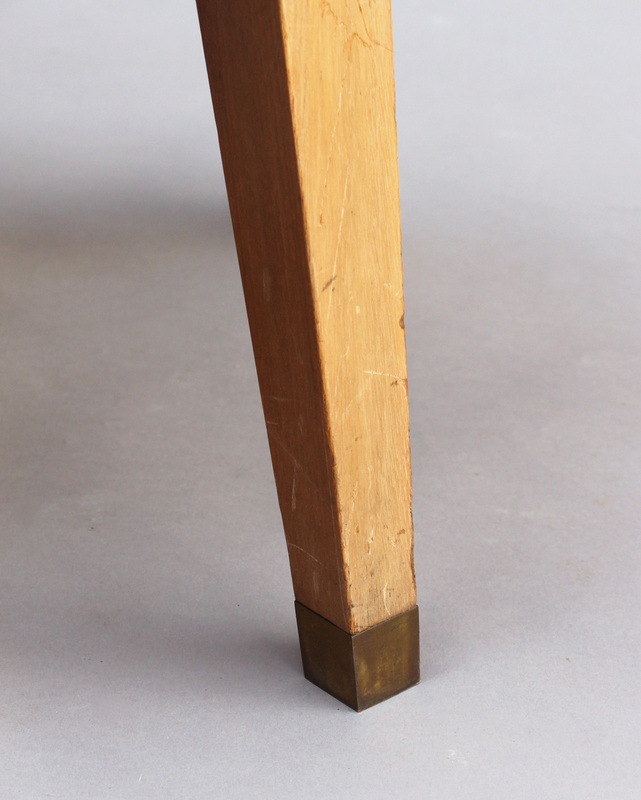 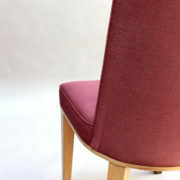 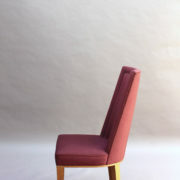 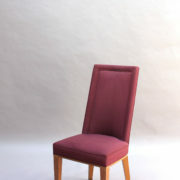 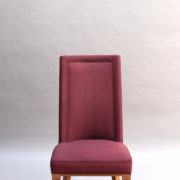 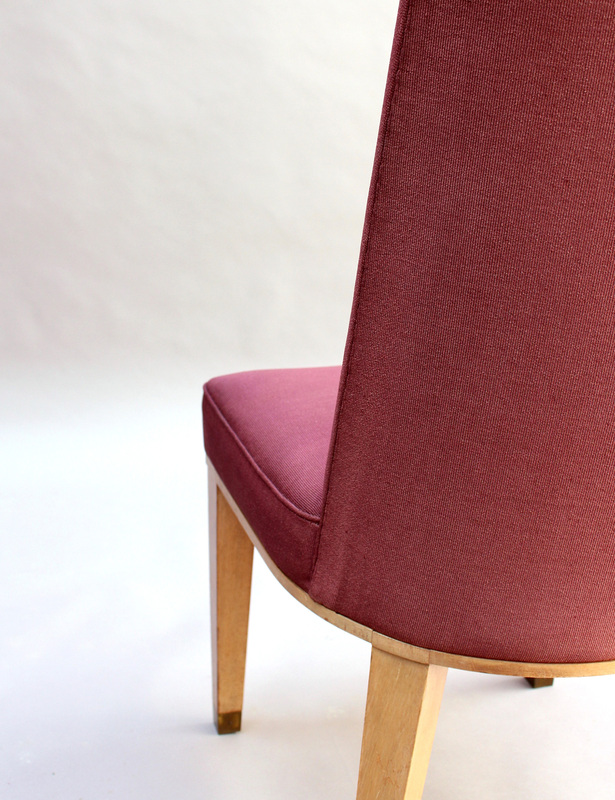 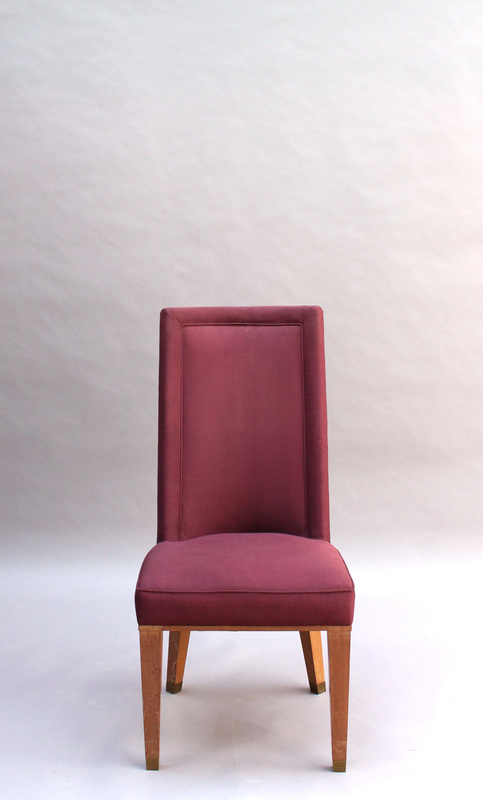 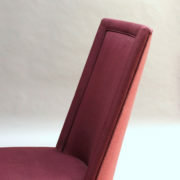 The other 9 are Pommele mahogany (moire) see last 2 images. 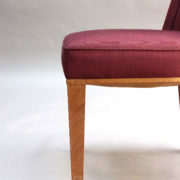 Good, wear consistent with age and use. 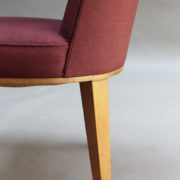 To be refinished and re-upholstered; some are loose. 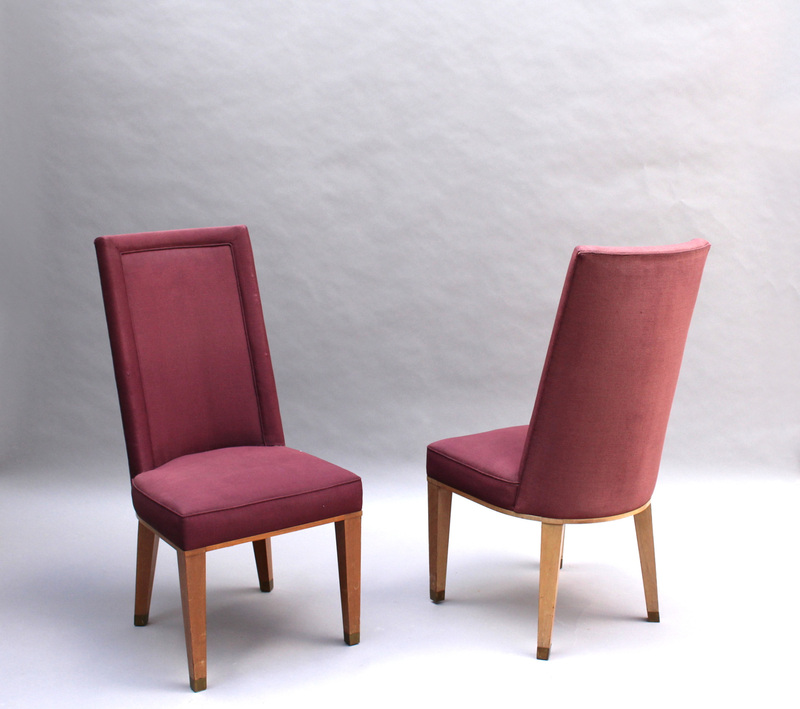 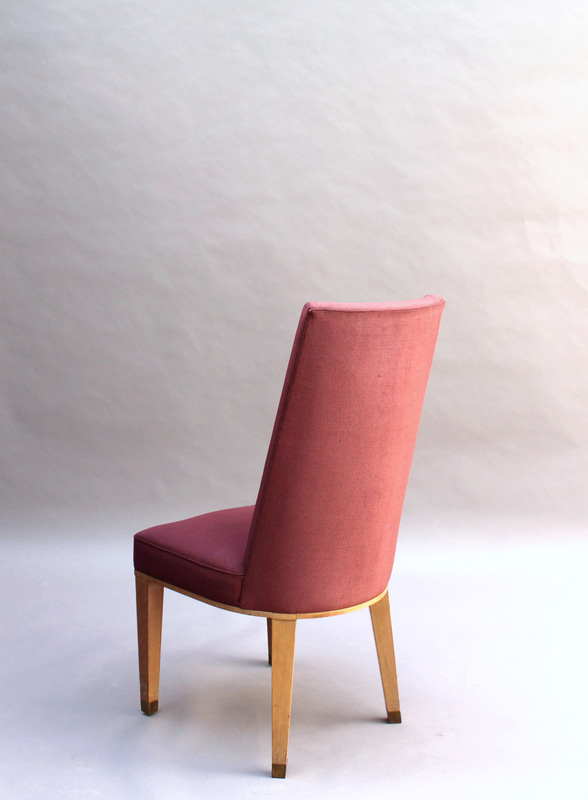 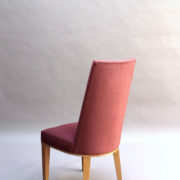 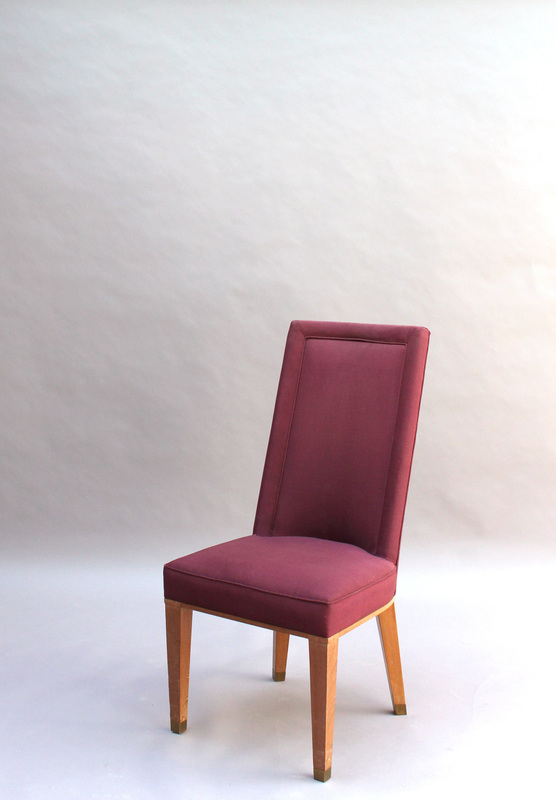 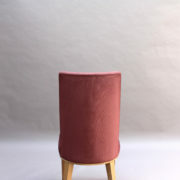 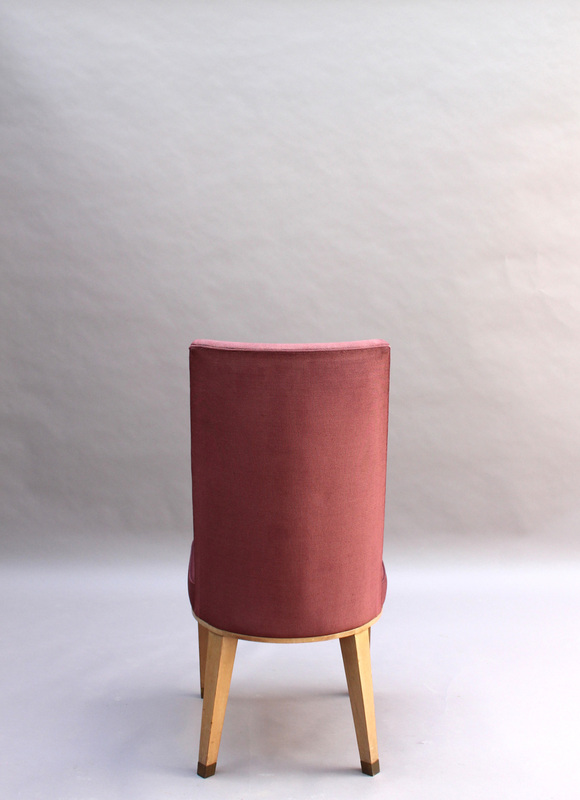 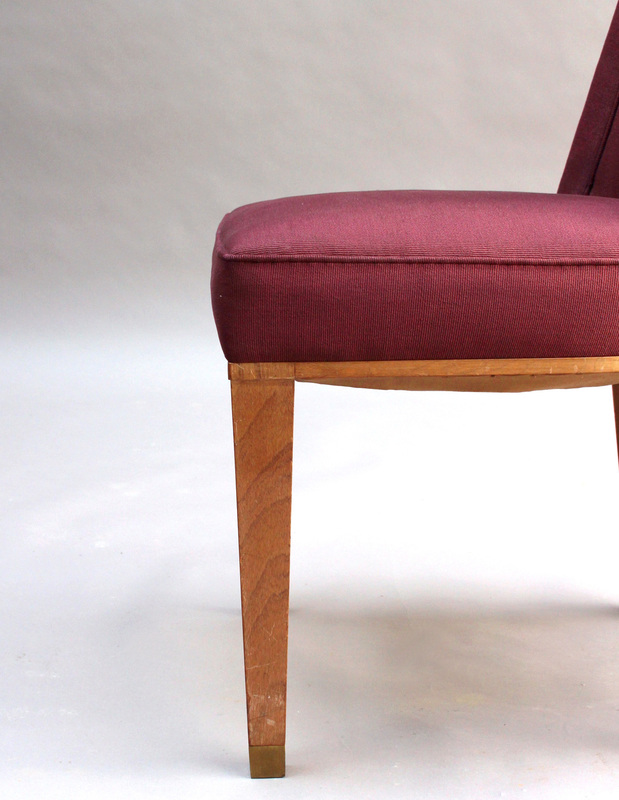 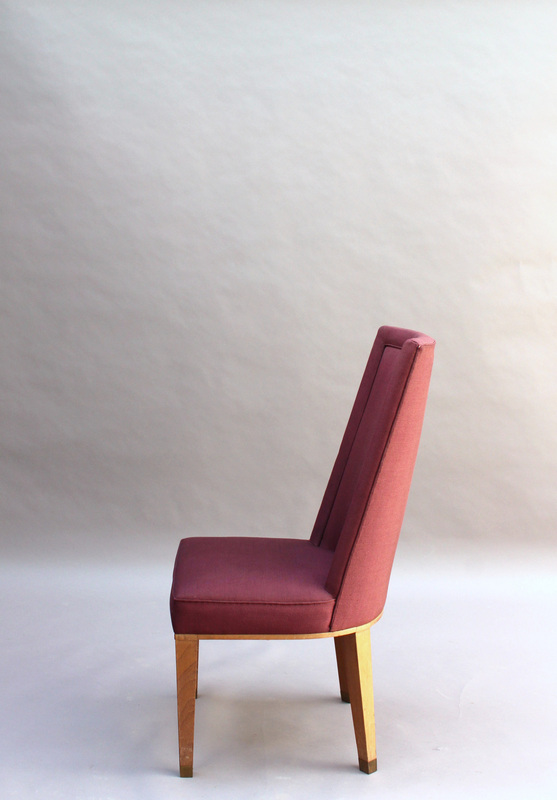 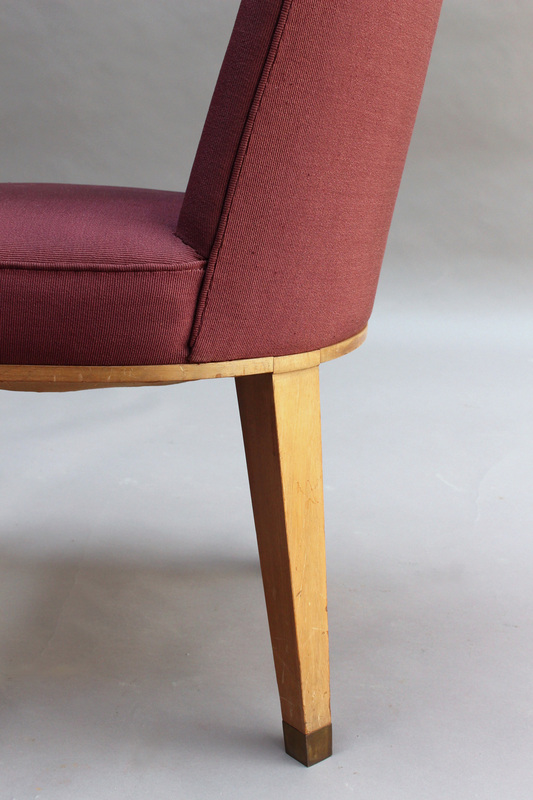 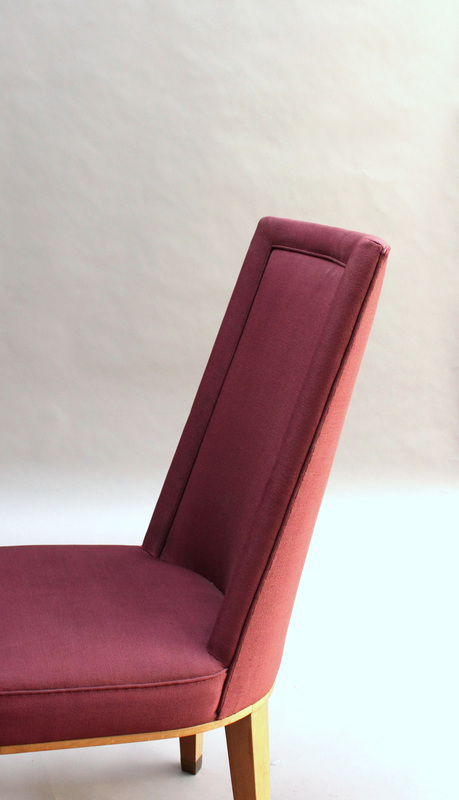 Soyez le premier à laisser votre avis sur “44 Fine French 1950s Dining Chairs by Jacques Adnet” Annuler la réponse.